On 16 July 2014, the SPLM in Opposition (SPLM-in-O) under the leadership of Dr. Riek Machar Teny upped its political pressure on the government of President Salva Kiir Mayaardit by proposing 21 states for a federal republic of South Sudan. In an apparent quick response to Riek’s proposal, a purported group of “Jieng Elders” in Juba, South Sudan, released its own counter-proposal on 18 July 2014 in which the elders advocated for a mutually acceptable administrative formula for the people of South Sudan. They recommended 23 federal states based on the 1956 colonial borders. All this clamoring for federalism in South Sudan comes against the backdrop of sustained pressure from Equatorian leaders—notably Governor Bangasi Bakasoro of Western Equatoria and Governor Wani Kong’a of Central Equatoria—for federation, reportedly, as the best way of taking resources to the people in the villages. In sharp contrast to Riek’s and the Jieng Elders’ proposals that use state as a unit in the proposed federalization, these leaders from Equatoria seem to be using colonial geographical regions—Upper Nile, Bahr el Ghazal and Equatoria—as the basis for a federal South Sudan. 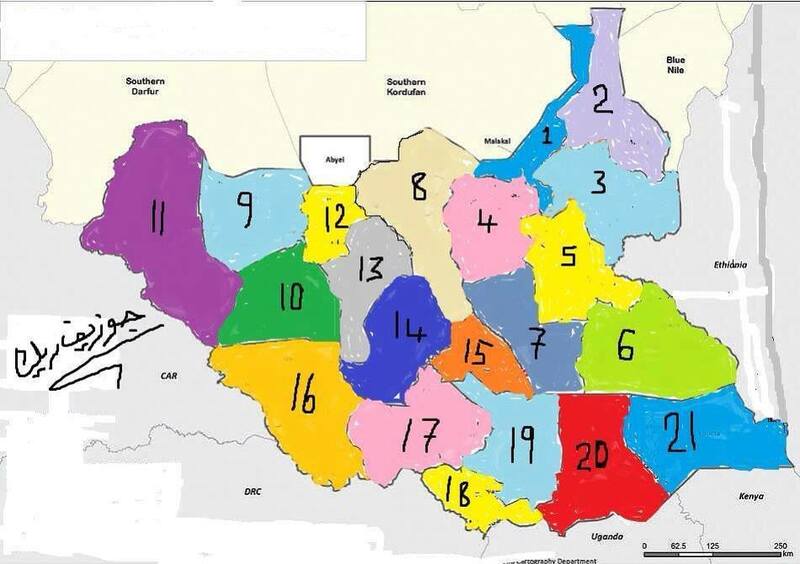 Fashoda, Fangak, Unity, Akobo, Northern Upper Nile, Bor, Pibor and Sobat. Juba, Yei, Kapoeta, Maridi, Yambio, and Torit. It is necessary to go back to the pre-independence period of the historical Sudan in order to better understand and appreciate, if warranted, Riek’s political stance on the politics of federalism in South Sudan. Bor, Nasir, Pibor, Akobo, Bentiu, Renk, Malakal, Fangak and Kodok. During the SPLM/SPLA war of liberation, Dr. John Garang was more concerned about dismantling the center of power in Khartoum and restructuring the entire country than being bogged down by local issues of Southern Sudan. Thus, the only significant attempt made to alter the colonial borders of Southern Sudan’s administrative units during the war was one initiated by the Nasir group in Akobo, 1994. 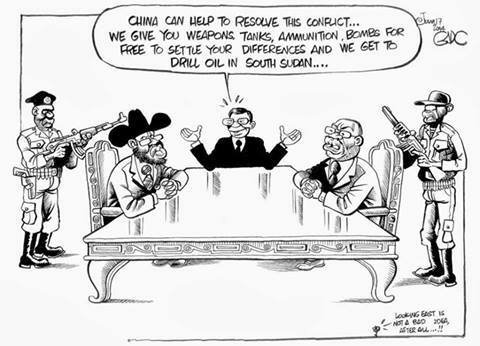 The 1994 Akobo Conference for Peace and Reconciliation, funded by International NGOs in East Africa, was meant to end the Nuer civil war between the Jikany and Lou. However, Riek Machar turned it into the Founding Conference of the South Sudan Independent Movement/Army (SSIM/A). The Nasir faction was renamed from SPLM-United (born in Kongor in March 1993) to SSIM/A, after which the new administrative units were set up for the newly rebranded movement. 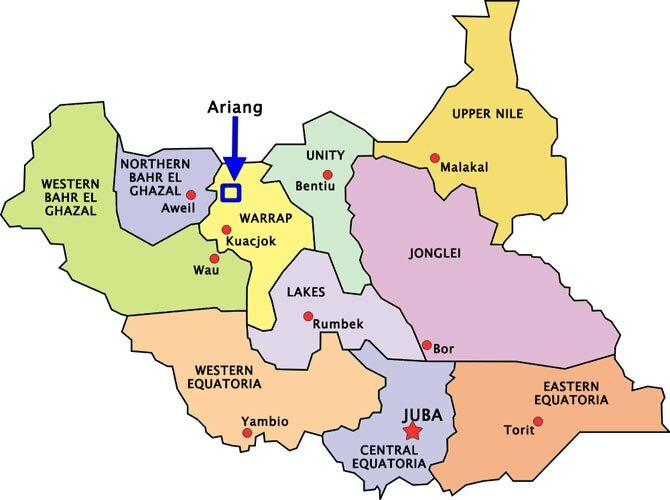 The Equatoria region was given three states while Bahr el Ghazal region was allocated another three. However, trouble erupted when it came to the Upper Nile region, with the Nuer patria already allocated four states. 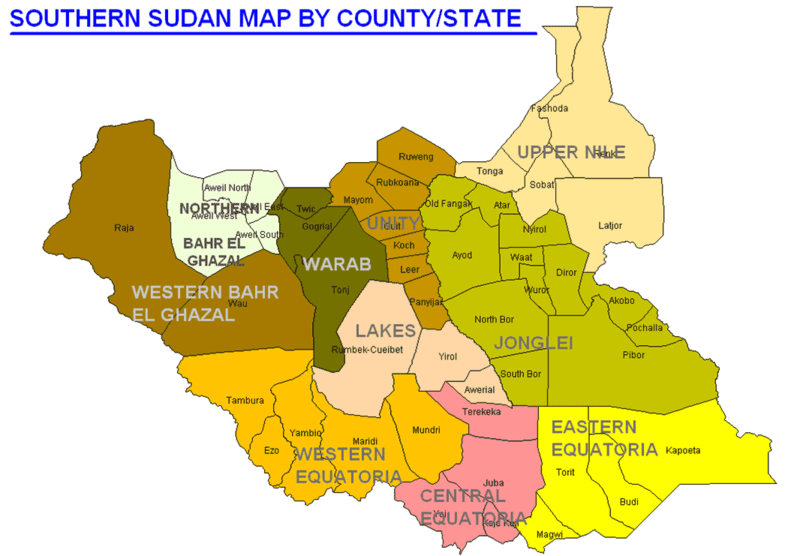 The Upper Nile region was going to end up with almost ten states if the Dinka, Chollo, Murle, Anyuak, Jie, Maban etc. were going to be satisfied on the same basis as the Nuer. These were the administrative units of South Sudan when war erupted on December 15th, 2013. The Equatorian leaders have always been at the forefront of the call for a federal state in South Sudan. It was largely seen as an attempt by the Equatorians to extricate and shield themselves from what they repeatedly referred to as the “cow’s mentality” of the Nilotic tribes reigning in Juba, namely the Dinka and the Nuer. Even the SPLM-DC of Dr. Lam Akol had, reportedly, advocated for a federal system in South Sudan, prior to the December 15th rebellion. Riek Machar, upon escaping from Juba, declared an all-out war on the government of President Kiir, vowing to overthrow him. The initial momentum of the Nuer white army in the first few weeks of the conflict gave Riek some hope that he could ride to power on the barrels of their guns. But the white army failed, not just to take over Juba as divined by Prophet Dak Kueth (the white army’s spiritual leader) but also to defend and maintain captured towns such as Bor, Malakal, Bentiu and Nasir. With the fizzling out of the white army’s magical powers, Riek Machar “cooked” his mind and publicly embraced federalism. It was a strategic move for a man known for political dithering and indecisiveness. Critics claim that the call for federalism by the rebels was the work of Alfred Lado Gore (an Equatorian from Juba), who was the head of the SPLM/A’s political ideology and indoctrination under Dr. John Garang. More recently he was a presidential advisor and cabinet member in the government of President Kiir. It was not long before Governor Wani Kong’a of Central Equatoria and Governor Bangasi Bakasoro of Western Equatoria came out in support of a federal system in South Sudan. Their vocal agitation for federalism almost led to another December 15th in present-day Juba as the pro- and anti- federalism camps traded accusations and counter-accusations of an alleged plot to assassinate the two governors. President Salva Kiir, in a rare show of leadership, counseled the agitators that the issue of federalism should be decided (not through a presidential decree but) by the South Sudanese people themselves, possibly in a nationwide referendum. Some people think that President Kiir’s response appeared to have blunted Riek’s spirited campaign of politicizing federalism as a tool for military and political recruitment among the Equatorians. Only Dr. Richard K. Mullah and Dr. Francis Nazario, with little following, have responded to Riek’s call from the Equatoria region. While Riek might have expected undying appreciation and gratitude from the Equatorians, he is instead being accused of having politically hijacked the Equatorians’ ancestral call for power devolution in South Sudan. Instead of being hailed a champion of the Equatorians’ cause and interest as he had hoped, he is being branded a political opportunist, a prostitute of ideas. Apparently, given the military stalemate on the ground and the political impasse in Addis Ababa, Riek “cooked” his mind again and came up with a freshly minted proposal to win himself new followers. Interestingly, the proposal appears to have been aimed at the entire country, including the heartland of President Kiir in Bahr el Ghazal and greater Bor. Riek must be billing this latest proposal as a political coup against President Kiir who appears dazed by uncertainty. President Kiir has not shown any penchant of being proactive; he just reacts, in a wobbly manner in most cases. Kiir’s only luck seems to lie in the fact that his opponent is none other than Riek Machar. That is, for the people of South Sudan, it is an unpalatable choice between two devils who have nothing to offer but death and destitution to the people. Nonetheless, the proposed 21 federal states solution is a tantalizing prospect to most ethnic areas of South Sudan where ethnic issues have long been brewing over leadership and resources allocation. The urgency with which the “Jieng Elders” responded to Riek’s proposal underlines the seriousness of the issue. So what is the counter-proposal of the “Jieng Elders”? Firstly, it must be stated here that the so-called “Jieng Elders” may not even be associated with the government of President Kiir. In other words, their proposal should not necessarily be taken as the official position and response of the government. From the Nuer dominated rebel movement under Riek Machar to Jieng Elders to Equatorian leaders, it is obvious that the debate for a federal South Sudan has ethnic, rather than ideological, undertones. For the sake of this analysis of the politics of federalism in South Sudan, it is therefore tempting to surmise that the Dinka community is largely opposed to federalism while the Nuer nation and the greater Equatorian community are for a federal republic of South Sudan. That, of course, would be a gross misrepresentation of the complex politics of federalism in South Sudan. For example, not all Nuer support Riek Machar’s rebellion, for the bulk of the government army fighting the rebels in Bentiu, Malakal, Renk and Nasir are Nuer sons. Moreover, unlike in 1991, most Nuer top leaders—political and military ones—have shunned Riek Machar. Arguably, there are more Nuer leaders in Juba with President Kiir than there are with Riek Machar in the bush (or is it in Addis Ababa?). All in all, it looks like Riek is scheming and President Kiir is clueless. Riek’s political maneuverings may not succeed because he is, just as was the case in 1991, relying on one tribe: the Nuer nation. Riek has to transcend Nuer nationalism to fulfill his quest for political power in South Sudan. A nation of over 64 tribes can never be ruled by one tribe and remain stable and prosperous for long. Besides, the Nuer can’t complain of power marginalization in Juba. In 2013 before hell broke loose, the Vice President, Minister of Defense, and the Chief of General Staff were Nuer sons. The national army has three sectors and eight divisions. Nuer sons headed two of the three sectors and three of the eight divisions. The national army itself was about 60% Nuer, an oddity given the fact that the Nuer are only about 15% of the national population. President Kiir needs to wake up from his political stupor. The era of his J-1 decree spree may be over and he ought to start playing politics as it is. He needs to court and maintain his political base lest he will lose it the way the white army lost all the towns it had captured from the government. The fact that many South Sudanese may not identify with Riek Machar does not mean that they automatically prefer the president. The people will go with whoever cares for and about their interests and the wellbeing of their loved ones. Not President Kiir, not Riek Machar, and not even the so-called SPLM-Leaders of Pagan Amum and Madam Nyandeng, have shown any sign of leadership that would lead to a politically stable and socially prosperous South Sudan. Excellent piece. Sharp and on point. Dear brothers, a lot of effort has been put in defining, suggesting and embracing federal system of Governance in south Sudan, but none of the suggestions has critically put in consideration, the type of federal systems is south may opt to adapt, neither did the proponents and the initiators, the likes such as Riek Machar has consider the resources of the Country that. each federal State may viably be able to run its affairs without any difficulty! may be Riek is luring the equatorians into his side while confident of the fact that, Greater Upper Nile has Oil being extracted from their lands, and he is forgetting the reality that, most of the oil fields are in the Dinka lands, again Dr. Riek may be ignorant of the fact that, States such as Warrap, Lakes and jonglei are floated with the crude oil underneath their lands waiting for new contracts to be granted for the new companies. therefore, and at the end of the day, some States may end up poorer and tribalism will reign within their vicinity making the ethnicities of one State fighting each other, simply because being equatorians does not mean that they are one ethnicity and the same to the people of Greater Bahr Elghazal and the Greater Upper Nile. may God bless south Sudan. PaanLuel Wel, this is a good analysis though I didn’t read all through, but few I have notice in your article punctuated glimpses of South Sudan politics, specially my interest cited in the last paragraph. No any leader among our leaders shown a sign of concern on the lives of their people. All whatever politicians were been shouting about democracy, federal systems, transfer of power, number of states, regionalism, issues of land, corruption, and so forth would have been negotiated, dialogue and find way forwards without shedding blood of any single south Sudanese man, woman or child because any system adapted will be a south Sudanese system for South Sudanese people. In my own perception, I thought politicians would sit in Juba and make a way for the nation without war as it happened in 2013. Thanks for good analysis, God bless you. This piece of writing so much significant in understanding the epitome of political maneuvers among political elites. In regards to the Federal States proposed, it would be much more better to adopt the 23 ethnic based districts as of 1st of January 1956. Reason being, the entire community of South Sudan has been deeply divided along ethnic lines and values, otherwise, it appears as if any other attempt to the contrary world lead to more rebellion instead of working for peace and development. Invitation: The Red Army Foundation in Juba, South Sudan.